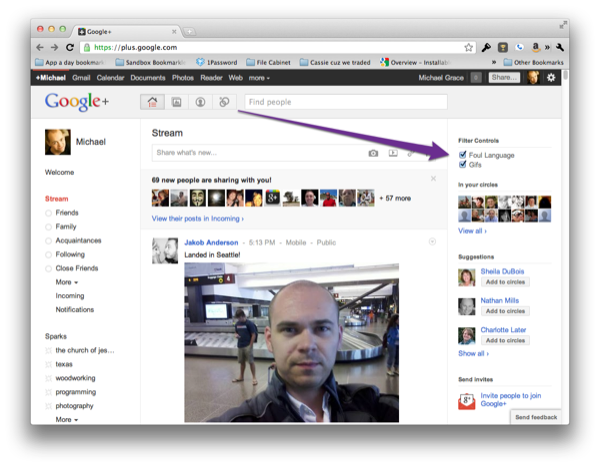 You can turn the filtering on and off using the controls that will show up on the right side of the Google+ interface. Preferences are remembered so the next time you come back it’s just the way you left it. 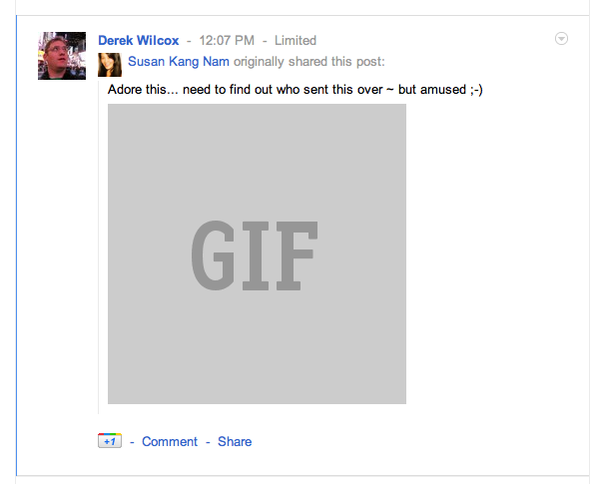 I plan on adding a feature in the future to be able to collapse posts if they match a list of keywords that you list. I personally really look forward to this feature so I can filter out what ever I want. If you have ideas or suggestions for this app or a new app please let me know. 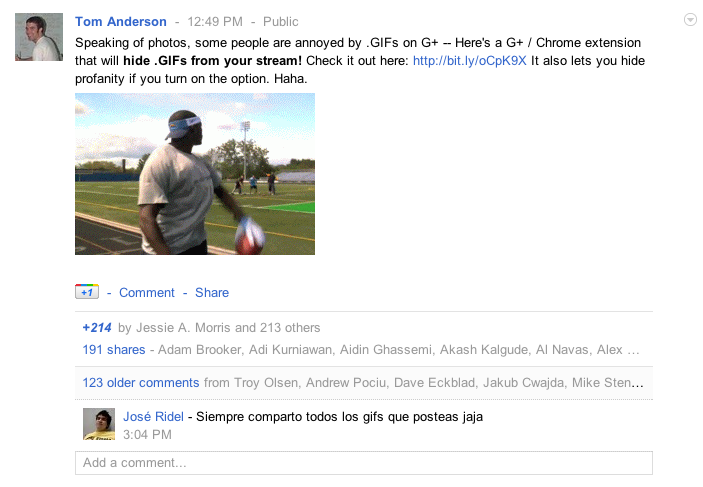 As seen on Tom Anderson’s G+ profile!